SYRACUSE — Syracuse Asbury United Methodist Church is inviting the community to join them for 40 days of prayer. Throughout the month of August and part of September, the church will be focusing on the power of prayer. Sunday morning worshipers have been given prayer cards which feature a specific prayer request each day and they have been challenged to include these requests in their daily prayers. 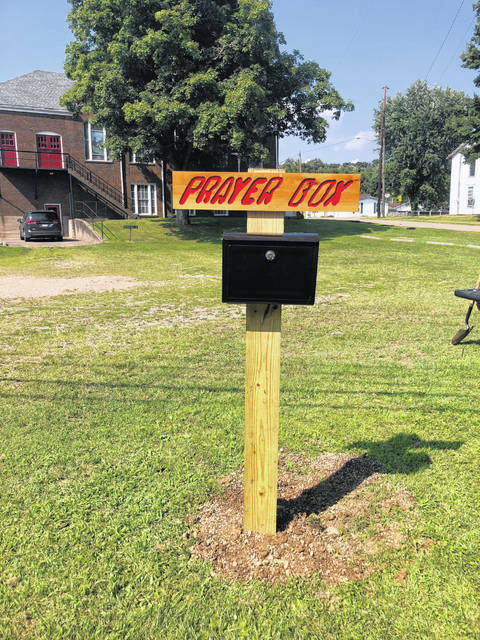 Part of the church’s outreach is a Prayer Box, which has been placed in front of the church’s entrance, along Route 124. The church invites members of the community to place prayer requests in the box, and these requests will be prayed over on Sunday morning. For those interested in attending church at Asbury, services start at 10:30 a.m. on Sunday morning. All visitors are welcome.